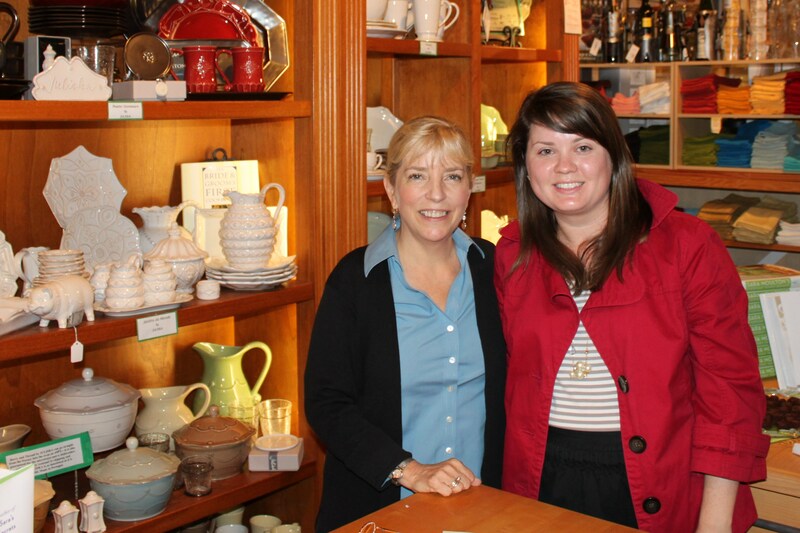 Today I had the pleasure of meeting Sara Moulton at The Extra Ingredient while she is touring with her recently released book, Everyday Family Dinners. 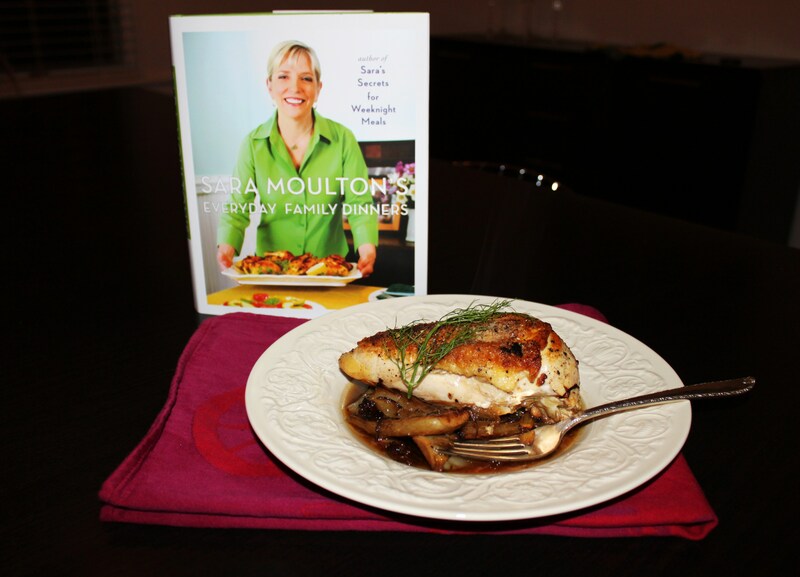 Sara Moulton is one of the first cooking personalities I can remember. Long before many of today’s popular cooking personalities, she hosted Sara’s Secrets as one of the original stars of the Food Network. Her modest kitchen showcased real cooking techniques and practices and skipped the grocery store short cuts that seem to overwhelm the tube these days. When bragging to my sister about today’s meet up she reminded me how much she loved Sara because she always cooked with her daughter on her show – much like we grew up doing with our mother. Sara was everything I expected – short (literally) and sweet (figuratively) – but I was mostly humbled by the amount of attention Sara gave me and my friend Ashley (who I must credit for initiating our visit) and interest she took in my blog. And when she said she would check it out I immediately starting feeling anxious about how I would describe our visit. What would normally be a somewhat witty post about my dislike for blenders and dirty dishes suddenly felt very elementary. But in all honesty, that is exactly who I am – a wannabe witty home cook with a hatred for blenders and excess dirty dishes, so I embarked on a mission to recreate one of Sara’s recipes – Chicken with Caramelized Fennel but only using one cast iron skillet. Instead of using three separate pieces (two pans and a blender) I broke down the cooking process and ending up with a more rustic dish. This may not be the exact dish she had in mind, comparing it to her experience cooking at La Tulipe, but I think the flavor combination turned out similarly (delightfully delicious). In preparation for meeting Sara and writing this post, I spent a good deal of time reading and studying her book. I was surprised by the diversity of recipes that Sara shares. From kimchi to kielbasa she spans global cuisine breaking down recipes for the home cook (Sara, I forgot to ask you – Why so much kimchi? If you’re out there please let this curious blogger know!). If you are looking to expand your cooking repertoire, I advise you pick up a copy and start experimenting. From what I gathered today from my short visit with Sara, that is what she wants more than anything – more cooks to share her passion. Assembly: Preheat your oven to 375 degrees. Add 1 tablespoon of oil and butter into a large cast iron skillet over medium high heat. Add fennel slices and allow to caramelize for about 5 to 8 minutes per side. Make sure to monitor the browning as heat is different on all stovetops. Once fennel is golden brown on each side, remove from the pan and set aside. Add another tablespoon of olive oil to the pan and season your chicken breasts liberally with freshly ground pepper and kosher salt. Add the chicken to the pan skin side down. Allow to brown until golden. Turn the chicken over and add the fennel back into the pan around the chicken. Then add garlic, chopped sun-dried tomatoes and lemon zest. Allow to cook until the both sides of the chicken are brown and garlic has become fragrant. Pour the chicken stock over the fennel mixture and put the entire skillet into the oven. Cook for about 25 to 30 minutes or until the chicken is fully cooked and stock has slightly reduced. Garnish with fresh fennel fronds. Sara’s visit comes at perfect timing as The Extra Ingredient is in the process of celebrating their 25th anniversary. From what I can imagine, they are one of the few locally owned and operated cooking stores still around. Owner, Art Nading dressed in his mossy green Extra Ingredient Buy Local t-shirt, greeted me with a friendly smile and even asked if he could grab me a cup of coffee while I waited. Why not support the businesses that support our local economy? We have no excuse. Thanks to The Extra Ingredient for this opportunity. I’ll see you soon. I am sorry I missed the book signing! I would have loved to meet Sara. She seems so down-to-earth. Looking forward to buying her new book (although I do wonder about the kimchee also. Is there something I am missing?) Great blog! So glad you enjoyed Sara Moulton. We did too! She is definitley a pro. Look at the recipe for Scrambled Egg and Salmon Crepes. It is delicious. Also, thanks for your kind comments about the store. We are very grateful for the support from Greensboro for a locally owned business.